View from my room in the St. Barbara Hotel, downtown Tallinn, Estonia (N59.431802°, E24.743355°). The Wooster Geology Estonia team is now safely in Tallinn preparing for our visit to the paleontological collections in the university museum tomorrow. 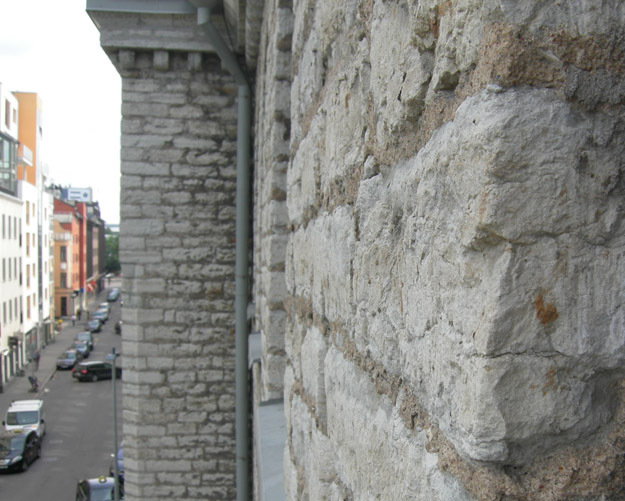 For me a private joy is that our hotel building is made of Ordovician limestone, the very same stone that I studied a month ago in Russia.